Tense times (from left) Romsey's Andrew Thompson, Brad Mutz, Nathan Tessari and Graeme Cuthbert await the outcome of an opposition bowl late in the game against Lancefield. 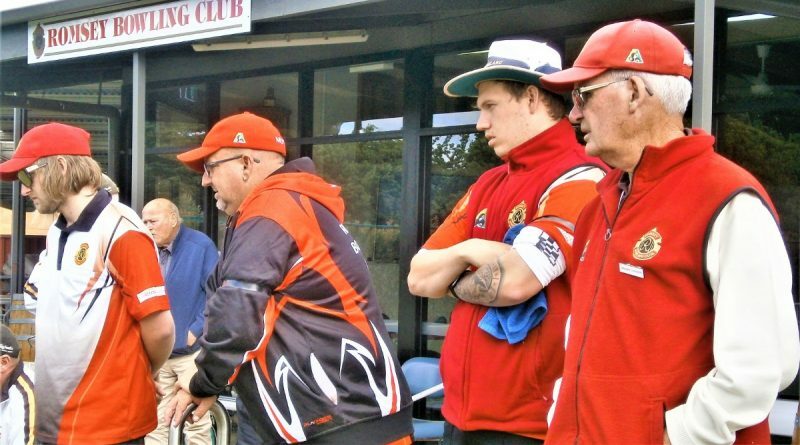 Central Highlands Bowls Association match scores from Saturday were as follows. Kyneton Golf 94 defeated Bacchus Marsh 89: J. Smith 28 d L. Greening 19, R. Turner 24 d D. Louttit 19, A. Plowman 22 lost toS. Cornock 24, S. Taylor 22 lost to D. Willis 29. 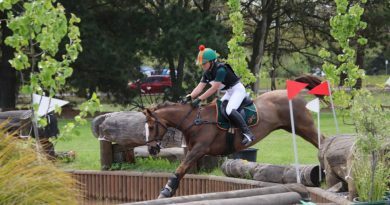 Gisborne Red 123 d Kyneton 72: M. Bacon 32 d C. Vincent 18, D. King 32 d R. Dwyer 19, G. Quaife 33 d M. Smoljo 16, T. Rogers 26 d A. Stewart 19. Trentham 117 d Gisborne Yellow 89: C. McKeone 32 d B. Wylie 17, M. Matricardi 33 d I. Ball 20, N. Cooke 33 d D. Searle 23, P. Hinneberg 19 lost to D. Bronte 29. Romsey 68 lost to Lancefield 105: J. Beaumont 17 lost to M. Godbolt 32, B. Groom 9 lost to J. Holmes 28, M. Brundell 20 lost to A. Young 25. Bacchus Marsh 75 d Woodend 71, Kyneton Red 93 d Gisborne 55, Macedon 76 d Kyneton Blue 59, Diggers Rest 57 lost to Kyneton Golf 90. Woodend 81 d Macedon 55, Bacchus Marsh 76 d Kyneton 50, Trentham 52 lost to Gisborne 98, Kilmore 43 lost to Romsey 80, Diggers Rest 60 lost to Lancefield 91. 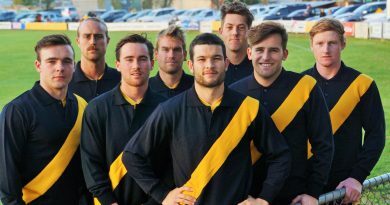 KFNC's 2018 senior footballers model the commemorative jumper. Limited edition … get in quick! 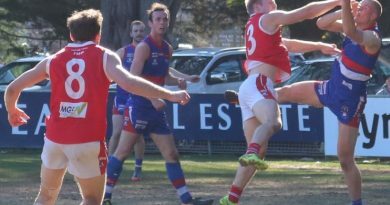 The Bulldogs' win against South Bendigo has pushed them along to the finals.